It's been a pretty interesting week for camera tech, as the rumour mill goes into overdrive in the couple of weeks before the upcoming CP+ show in Japan, while there has been lots of good news for lovers of analogue as well with film seemingly enjoying a resurgence in popularity at the moment. 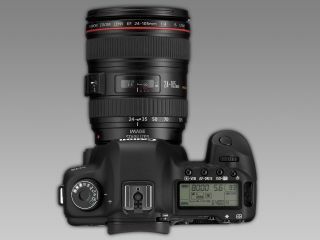 Barely a day goes by when a new rumour concerning a replacement for the 5D Mark II is doing the rounds, but this week we've seen a couple of particularly juicy ones make an appearance. Early in the week it was suggested that the camera would be called the Canon EOS 5D X, while some slightly dubious leaked specs suggested a 22 million pixel sensor. For those people still using the old model, it's also been a good week as one of the Oscar nominated documentaries was shot on a 5D Mark II, while a UK photographer has also been lucky enough to capture shots of the Northern Lights right here in Britain, using his 5D. It wouldn't be a normal week without yet more Nikon rumours to emerge. Speculation surrounding an impending Nikon D800 is growing stronger and stronger by the day. In Japan, the D300s and D700 were officially discontinued, leading to some to get all worked up about the meaning behind that, but Nikon was quick to point out to us that this was because of a new Japanese electrical law and doesn't affect the rest of the world. It seems fairly unlikely at this stage, but a Nikon D3200 could also be on the cards, if a new book appearing on Amazon is anything to go by. Time will tell if the rumours turn out to be true, so stay tuned for more news as and when it happens. With the sad news that historic camera manufacturer had filed for Chapter 11 bankruptcy protection last week in the US, one good thing has emerged from the troubles - according to the company, film is still making a profit. Keen to find out what the other camera companies were up to, we had a quick chat with Fujifilm who told us that the film sale decline was slowing down, while Lomo has actually seen an increase in its film sales. It also told us that the perfection of digital is "boring" - but we'd love to get your perspective on that too. It's all a little bit quiet on the launch front while we wait for CP+ to kick off, but Pentax unveiled a new 20x zoom compact camera, the Pentax Optio VS20 this week, which interestingly features extra buttons for shooting in a vertical orientation. The online image editing service, Picnik, has announced it will be closing in April, Sony has developed a new CMOS sensor, NASA has unveiled a 64 million pixel picture of the Earth, and there's rumours that Apple wanted to include Lytro tech in its iPhone camera. That's it for this week, keep following for the latest camera news and gossip, don't forget you can get in touch by following us on Twitter and Facebook.